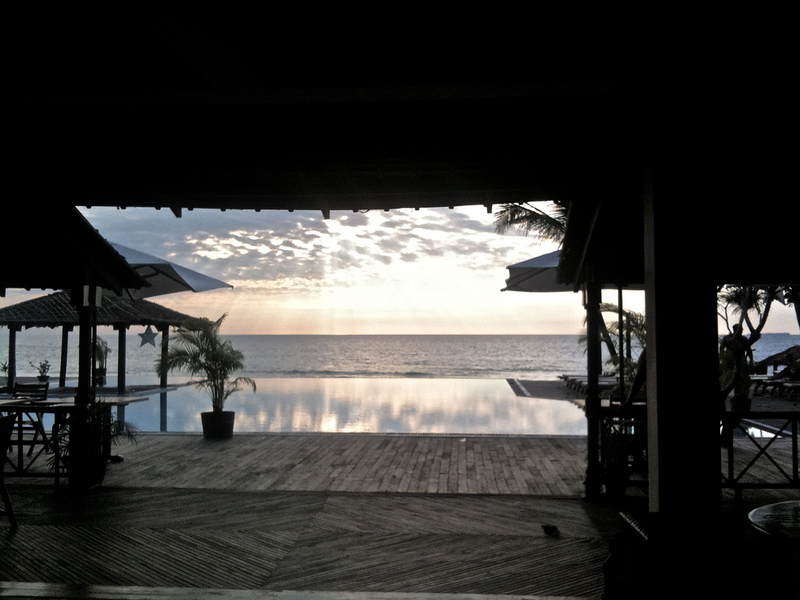 Quiet and sleepy, Ngwe Saung is a beach resort in Myanmar’s Ayeyarwady Region. With a calm and peaceful beach and none of the mass tourism development that’s easy to find on Southeast Asia’s other beach resorts, Ngwe Saung is a great place to relax and unwind. Located around five hours from Yangon by bus, Ngwe Saung Beach is Myanmar’s easiest beach resorts to access. Aside from a small selection of upmarket resorts and local village, Ngwe Saung is largely undeveloped and less crowded than other Southeast Asian beaches. At over 13 miles long, Ngwe Saung Beach is a huge expanse of sand ideal for sunbathing and relaxing with a good book. “Discovered” in 2011 after Myanmar opened up to foreign tourism, Ngwe Saung is poised to become one of the country’s top resort destinations. Ngwe Saung Beach is a long, sandy beach that covers more than 13 miles of the Myanmar coastline. Lined with luxury hotels at one end and inexpensive backpacker accommodation at the other, Ngwe Saung Beach is the centre of activity in the area. Located just off the beach, Lover’s Island is easy to access on foot once the tide goes out. 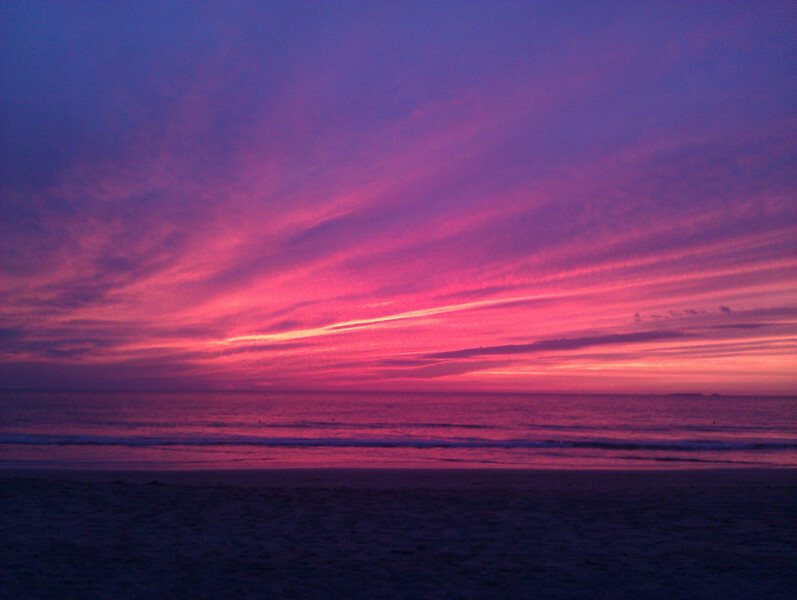 The island offers great views of the sun setting above the ocean. Watch out for sharp rocks as you walk to the island — a pair of comfortable sandals is recommended. Located near the north end of the beach, Ngwe Saung Village is a small village with a decent selection of restaurants and small shops selling clothing, accessories and other items. Most of the restaurants in Ngwe Saung Village offer fairly priced seafood and tasty local meals. 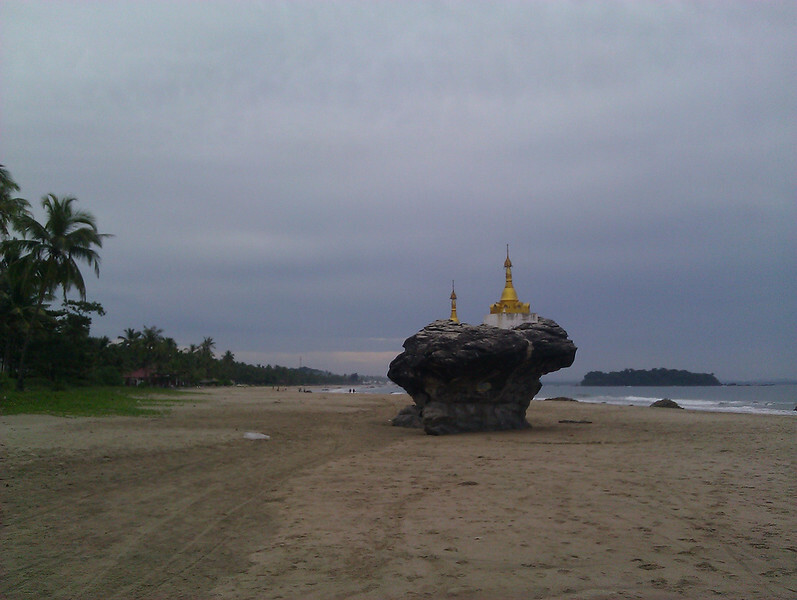 Ngwe Saung Beach is quiet and relaxing, making it a great place to sit back and catch some sun. Beach chairs and loungers are set up along the beach in front of most of the resorts — if you aren’t a guest, you might be able to use a resort’s chairs after buying a drink or meal. It’s possible to snorkel right off Ngwe Saung Beach, although you’ll need to book a tour to see the region’s best marine life. At high tide, Lover’s Island is a good snorkelling spot offering a reasonable selection of fish. While there aren’t any snorkelling or diving tour operators in Ngwe Saung, the boat operators on the beach will usually be willing to take you out to local snorkelling sites. Some boats have fins and snorkels available, which can be rented as part of an island trip. Located 45 minutes from Ngwe Saung Beach by road, Ngwe Saung Elephant Camp is one of the few tourist attractions in the area. For $10 USD, visitors can feed and ride elephants over hills and through streams inside the camp. One of the most upmarket hotels in Ngwe Saung Beach, Ngwe Saung Yacht Club & Resort offers a selection of rooms and villas overlooking the ocean. 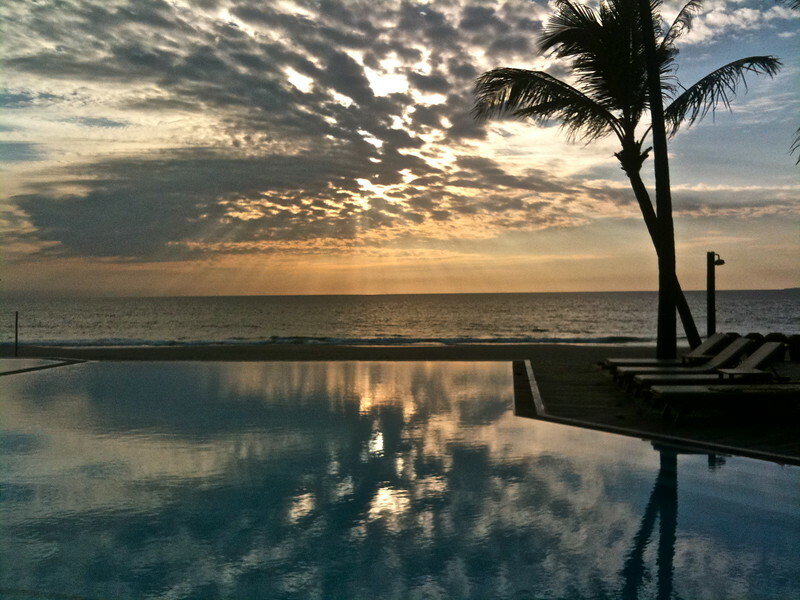 The resort’s outdoor infinity pool is a great place to enjoy the beautiful sunset over the beach. Located right on the beach, Eskala Hotels & Resorts is a luxurious four-star hotel with villas and private rooms. The hotel’s spa offers relaxing massages right on the beach, making it a wonderful place to escape from civilisation. Emerald Sea Resort is a clean and comfortable three-star resort located in the northern area of Ngwe Saung Beach. With a selection of rooms and bungalows, an outdoor pool and a spa right beside the beach, it’s a good mid range choice for travellers. A short walk from Ngwe Saung Village, Hotel Lux is conveniently located close to some of the best restaurants on the beach. This simple but comfortable three-star hotel has a beachfront swimming pool and a selection of rooms and bungalows with free Wi-Fi. The All Seasons Hotel is located right next to Ngwe Saung Village, making it a convenient choice for travellers that want to eat at local restaurants. Rooms are simple and somewhat minimalistic, but clean and comfortable enough for an enjoyable stay. Cheap seafood aside, Ngwe Saung Beach unfortunately isn’t a fantastic destination for those on a strict budget. Budget accommodation is limited and generally low quality, making it worth spending the additional 50% per night for a mid range hotel or resort. If you’re on a strict budget and can’t choose a mid range hotel, two budget options are the Luxer Deluxe Hotel and the EFR Seconda Casa Beach Resort. Both are located close to Ngwe Saung Village and offer simple, albeit far from fantastic, rooms near the beach. Located about halfway down the northern section of Ngwe Saung Beach, Silver Blue Sea is a local seafood restaurant offering a variety of tasty dishes. Garden Breeze is a simple Burmese restaurant located close to the south end of Ngwe Saung Village. As well as the Burmese menu, Garden Breeze serves Thai and Chinese food. The West Point is fresh seafood restaurant a located close to Sunny Paradise Resort. One of the few restaurants in Ngwe Saung open throughout the low season. Another Ngwe Saung Village restaurant, Golden Myanmar is a simple seafood restaurant with friendly service that offers fresh crab, sea urchin and other local catches. A popular local bar and restaurant, The Royal Flower Restaurant serves Burmese food and a selection of local seafood. Live music and cold beer make this a fun place to relax and meet locals and tourists alike. Ngwe Saung Beach is located 250 kilometres from Yangon, with buses making the trip in five hours thanks to the recently improved roads. Buses to Ngwe Saung leave from Hlaing Thar Yar Bus Station in Yangon, not the more well known Aung Mingalar Bus Station, at 7 and 10 am daily. Most buses from Yangon drop passengers in Ngwe Saung Village. If you haven’t arranged a pick up with your hotel, local motorcycle taxis will be able to take you to most hotels near the beach for 1500 kyat or less. 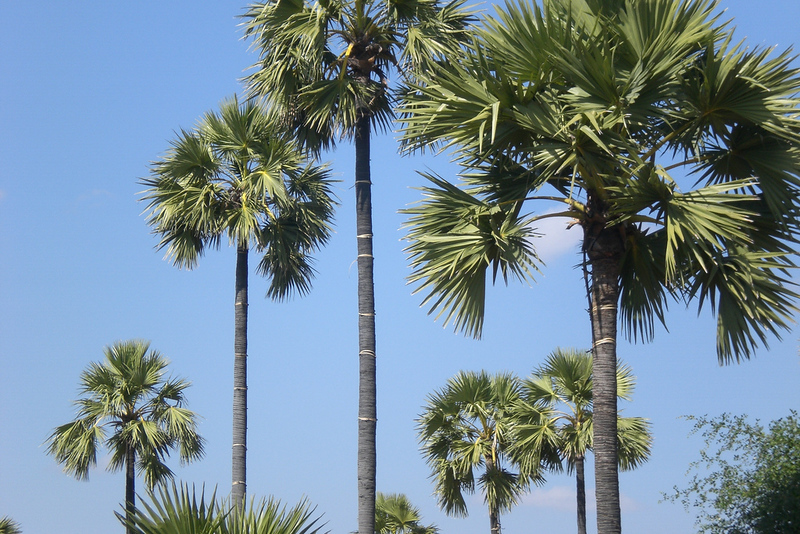 The nearest airport to Ngwe Suang Beach is Yangon International Airport. 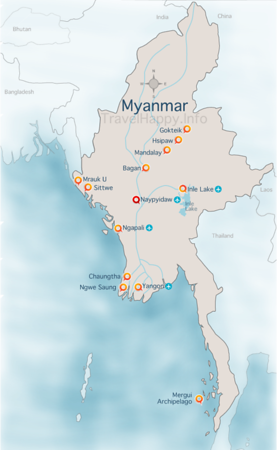 Check Skyscanner to compare airlines for the best prices and flight times to Yangon.